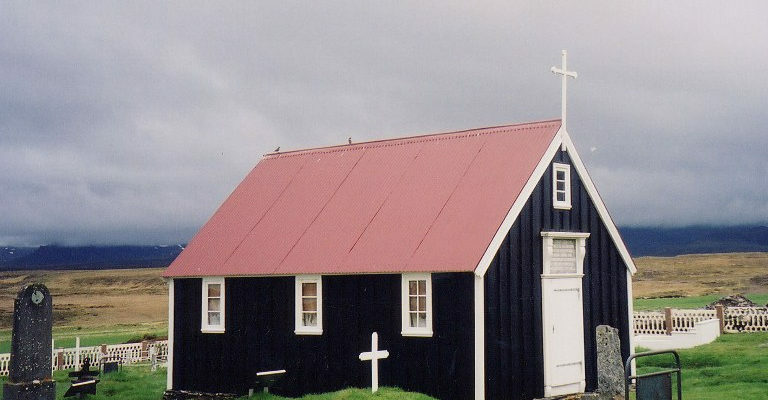 Bjarnarhöfn, (“Björn’s harbour”) the farm of the settler Björn austræni, now a substantial farm with church. The church was built in 1856. It has many old and historically valable artefacs. The alterpiece is believed to have been painted in 1640, there are two cassocks, one of which is more than 500 years old and the other was made in 1762. The church also possesses a chalice from 1286 and a pulpit from 1694. A sign recounting the history of Bjarnarhöfn is located near the higway.